In order to be an excellent coach one has to acquire valuable skills to provide the best service to the client. 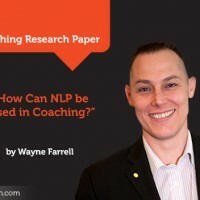 It is my purpose, with this paper, to introduce the concept of Neuro-Linguistic Programming (NLP) as an effective tool in coaching, for both the client and the coach. 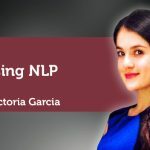 Many trainers, managers, and teachers use the principles of NLP to promote personal growth as it offers a framework which empowers the person to be the most he or she can be. As the coach integrates different modalities such a role modeling, visualization, and anchoring will appreciate the benefits of NLP, which for the coaching profession is twofold: first, it provides the client with the possibility to achieve their goals in a timely and measurable manner and it provides the coach with instruments that will help them motivate their clients to achieve their greatest potential. Many coaches in their practice use valuable tools such as assessments and questionnaires, but NLP takes the assessment a step further. It allows the coach to use the information gathered in such assessments to take the clients from where they are to where they want to be. An assessment that would be especially helpful in coaching, and is rooted in NLP, would be to know the representational system of the client. How he or she perceives the world and communicate with others. 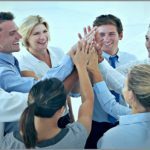 Once the coach is aware of this system would be able to establish rapport, step into the worldview of the client and together, and walk along with the client on his or her path to success. Coaching has developed in recent years as an effective way to promote change in individuals. What starts as a dream for a person, coaching can make it a reality (Joseph O‟Connor & Andrea Lages. Coaching with NLP, (p.3). When a person makes the decision to be coached is because he or she has the desire to change. As Napoleon Hill in his classic “Think and Grow Rich” tells us “Desire…[is] the starting point of all achievements” (pg 33). And it is this desire that inspires the person to change the direction in his or her life, but at times they don‟t know how change their lives or, because their own limiting messages or beliefs, sabotage any intention of growth. NLP may be that “missing link” in how to assist the client in their path to success. What is Neuro Linguistic Program? Neuro Linguistic Program is a term which was coined in the 1970‟s by Richard Bandler and John Grinder. It has been known as “‟The User‟s Manual‟ to the brain” , pg 2 (NLP workbook, lightworks seminar) because it involves the study of the mind, the power of language and how we can chose the precise way in how we want to feel, talk or see (Develop your NLP Skills, pg 13). Although it was coined by Bandler and Grinder, the term Neuro-Linguistic was developed by Alfred Korzibsky , who was mostly known for developing the concept of general semantics (http://en.wikipedia.org/wiki/Alfred_Korzybsk ). Furthermore, Bandler and Grinder , knowing the importance of our subconscious mind, based many of their principles on the work of the famous hypnotist Milton H.Erickson, MD and studied the principles applied by successful people, included how they used their bodies or how they talk (O‟Connors, NLP p. 17). They came to the conclusion that our language, our perception of the world and our communication style influences the way we live our lives, the goals we accomplish, and the changes we are able to achieve in ourselves and others. One of the most important principles of NLP is knowing that we are all the time communicating, as Andrew Bradbury states in his book Develop your NLP Skills “you cannot not communicate….we are constantly communicating, both by what we do and by what we don‟t do, by what we say and by what we don‟t say” (pg 7). This is a great point of reference because it expands our awareness of how we can get more information about our clients in order to have an accurate picture of what they really want and what their values and fears are. In NLP it is considered one communicates using different representational systems based on our senses, being the most common: visual, kinesthetic and auditory. 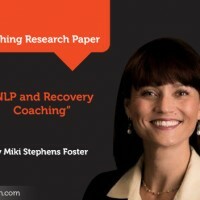 How can NLP be useful in Coaching? As mentioned before NLP provides different tools that can be integrated when working with clients toward achieving their goals. We know that in coaching elements such as acknowledging, reframing and enthusing can make a difference in helping the client to design the future and at times we need an extra tool to really make it a reality. NLP is such a tool and have different techniques to achieve such reality. Among the different techniques that produce empowering changes are Role Modeling, Anchoring and Visualization. Client: I really want to go to the gym and start this exercise plan but I just can‟t see myself doing it. I hate it! Coach: I hear that for you it is important to go to the gym and do exercise so I would like to try with you an exercise, would you like to try it? Coach: Ok…with your eyes open or closed imagine that in front of you there is a movie screen and you see your friend Shirley, whom you admire because she is very disciplined with her plan of exercises, getting ready to go climb the Stairmaster. . See her excitement and joy as she does the exercise. Now instead of seeing Shirley, it is you who is climbing the Stairmaster, see how good you feel as you start doing the exercise. Now instead of seeing yourself, feels as if you are on the Stairmaster. Feel in your body the excitement, hear the sounds of the gym, feel the temperature of the air, see what others are doing, locate in your body where do you feel the joy. Just be there and feel inside of you how great it is that you have started your exercise plan and you have developed the discipline of working out 4 times a week. 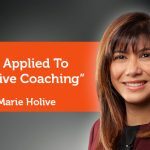 As it has been demonstrated, with role modeling the coach uses the power of inspiring the client with the behavior of someone they admire to achieve what appears to be challenging. The coach provides the scene for the client to engage in the feeling and actually have a full experience, including all the senses. In NLP that is one of the most important blocks, to incorporate our senses to create the whole experience. In this case only role modeling was used, but another tool could have been added, such as anchoring. For example, if we would have added a favorite song to be playing in the gym, as the client is enjoying the exercise on the Stairmaster, we would have created what is known as anchoring, which is simply to link something or someone that triggers a specific reaction. In our lives we use anchoring all the time, from symbols, to food and smells. With NLP we can use these triggers to our benefit and at the same time deconstruct those anchors which are negative and replace them with positive ones. In this case, we would also be incorporating “reframing” a powerful tool in coaching which has to do with changing one‟s perspective and most likely had its roots in NLP. If a client wants to achieve a certain goal but has a negative internal message (it has been said that the most important conversation is the one we have with ourselves) it is very difficult for that person to achieve such goal. Many people base their concept of reality on their own assumptions of what the world and in NLP this is based on our created representations of the world. Actually, one of the pillars of NLP is the concept of the map is not the territory( milton Erickson) and when one learns how to alter the representation of the world one can create for the client a reality that is more empowering and in congruence with their own values. One of the purpose of coaching should be to encourage the client “to become much more self-aware of their emotions and the situations which tend to trigger the „going-off‟behavior” (EI coach). Additionally, as one learns the emotions that trigger this “going-off” behavior one can learn which may be some of the roadblocks the client may have that prevents him or her to become all that he or she wants to be. As important as it is for the client to know what the goal is, it is necessary to take into account the challenges or obstacles he or she could face (NLP Andreas and Falukner). A tool known as visualization can provide the client with a sense of empowerment as they can see themselves already living the experience. What follows is an example of how to use visualization on becoming a best seller author. Client: I really want to finish my book but I don‟t find the time to write. Each day I say I will write a page but when the time comes I don‟t get to do it. I know I have a message but I don‟t push myself hard enough. Coach: Would you like to do an exercise that would make you feel you are already a best-selling author? Client: It would be great! Coach: I want you to pretend we are in December 2009 and you have already finish your book. You see yourself with the book in your hand. You can see the colors of the cover, the weight in your hand. You can even smell the aroma of new pages. You see yourself getting ready for a book signing and feeling the excitement of knowing your book is the #1 bestseller in the New York Times. You feel the rush of adrenaline as you realized you have accomplished your dream. You are a bestseller author. Now, I want you to come back in time to October 2008 and carry with you the great excitement and pride you felt as you saw yourself as a best seller author. I am interested on knowing the most important feeling you had as you saw yourself as a best-seller author. How was it to have made all those changes in your life in order to make it happen? You can do this, don‟t you? Next time you set yourself to write just close your eyes and with the eyes of your mind relive this image and relive the excitement and pride you could feel as you have achieved your goal. Coach: Now that you see the cover of your book, make those colors brighter, the cover shinier. Is the book small or large? Make it bigger. Can you see it in 2 or 3 dimensions? As you feel the adrenaline in your body, where do you feel it? In which part of your body? Is it warm? Cold? Make it more intense, more intense, until you feel such a great excitement you feel you are there in your book signing. With this example the intention was to show the coach has the ability to make the hypothetical situation more real to the clients, therefore more possible to attain. It all has to do with working close to what the client wants and how he or she can achieve it. The goal has to be stated in the positive. It has to be achievable. *These guidelines were taking from the manual for certification on NLP by Ligthworks Seminars. As a result of this paper, we can conclude that integrating NLP tools can enhance the process of change coaching promotes as it provides a systematic set of techniques based on studies concerning human behavior, communication and thoughts. 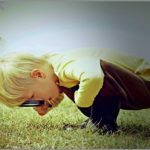 Applying some of these techniques can help the client change the way the they think, act and feel towards situations experienced in the past and have the necessary tools to transform the way the perceive themselves and see their future. As more coaches integrate NLP in their practice they will understand that human beings work perfectly and the results of their performance are based on their thoughts, their feelings and the choices they make in their lives. NLP is the springboard to excellent choices and fulfilling lives. Andreas, Steve & Charles Faulkner (1994). NLP The New Technology of Achievement. New York: HarperCollins Publishers, 1994. Belsten, Laura, Ph.D. (2006). Coaching Emotional Intelligence. Colorado: LearnMore Communications, 2006. Bradbury, Andrew J. (2006). Develop your NLP Skills. United Kingdom: Kogan Page, 2006. Erickson, Milton H., M.D. (1975). Patterns of the Hypnotic Techniques of Milton H. Erickson, M.D., Volume 1. California: Grinder & Associates, 1975. Lightwork Seminars, Intl. NLP Practitioner Certification Manual. 2007. O‟Connor, Joshep & Andrea Lages (2004). Coaching with NLP. Great Britain: Martins the Printer Ltd, 2004:3. Ready, Romilla & Kate Burton (2004). Neuro-linguistic Programming For Dummies. Great Britain: John Wiley & Sons, Ltd., 2004. FC 102,Perspective. 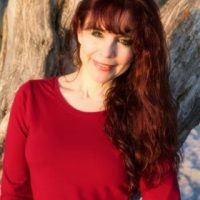 Founder of My Meaningful Life, and Executive director of The Center for Transforming, author of Transform Your Loss: Your Guide to Strength and Hope, Ligia lives in Miami, Florida and leads International Coach Academy’s Grief Coaches Group.